Save time and download, print and fill out your New Patient Forms and bring them with you to your first appointment. If you are considering your first visit to a chiropractic office, you’ve picked the right place. Rest assured that Dr. Kim Jaqua and our staff will do everything in their power to help relieve your symptoms as fast as possible – with as few treatments as necessary – and also give advice on how to avoid future episodes of back pain, neck pain or sciatica. Dr. Jaqua is trained in a wide variety of chiropractic techniques, so you can feel comfortable asking any questions necessary to understand the chiropractic examination, diagnosis, and treatment program. 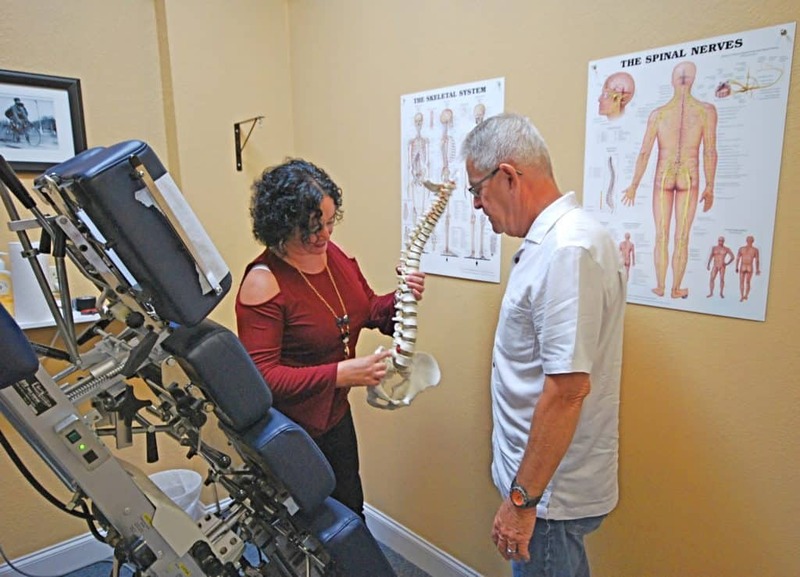 Jaqua Chiropractic accepts most major insurance plans. Typically, your insurance plan will ask you to pay a “Specialist” copay for chiropractic care. Contact your insurance company to find out what your copay would be. Keep in mind that our cash price may be less than your insurance copay. If you have any questions, please call us. We’d be happy to verify your insurance plan information and go over any pricing ahead of time. And, remember – you will never feel pressured into a long-term treatment plan. Dr. Jaqua will work with you to determine the best plan to get you feeling better and would never lock you into any kind of contract. What can I expect on my first visit to Jaqua Chiropractic? The initial consultation involves completing a thorough chiropractic exam. Depending upon the circumstances, this could last anywhere from 15 minutes to 45 minutes or more. Dr. Jaqua will conduct an initial interview with you about her philosophy and general approach, and your preferences. You will be asked to provide information on family medical history, any pre-existing medical conditions or prior injuries, and previous and current health providers and treatments. Further chiropractic tests may be necessary to assess the affected area (such as having you move in a specific manner), posture analysis, or chiropractic manipulation of the affected body part. Based upon the results of the your history and chiropractic exam, diagnostic studies may be helpful in revealing pathologies and identifying structural abnormalities to more accurately diagnose a condition. Diagnostic studies are not always necessary during the chiropractic exam, and should only be undertaken if the chiropractor has a good reason to believe that the X-ray or other test will provide information needed to guide your treatment program. If X-rays, MRI scans or more extensive imaging studies are required, you will be referred to an outside center. Findings from the combination of the above described history, physical examination and any required diagnostic studies lead to a specific diagnosis. Once the diagnosis is established, Dr. Jaqua will determine if the condition will respond to chiropractic care. If requested, this information can be provided in written form so you may take it home and think about it and conduct their own research.